Róisín was most recently cast as Mrs. Dolan in British television drama series VICTORIA directed by Chloe Thomas for ITV. Recent work includes the role of Fatima Devers in Joe Murtagh’s CALM WITH HORSES directed by Nick Rowland for Film 4 / DMC films, Linda in Amanda Whittington’s comedy LADIES DAY directed by Alisdair Harvey at Wolverhampton Grand and Agnes Dillon in Anthony McCarten’s wartime drama DARKEST HOUR starring Gary Oldman, directed by Joe Wright for Working Title Films. 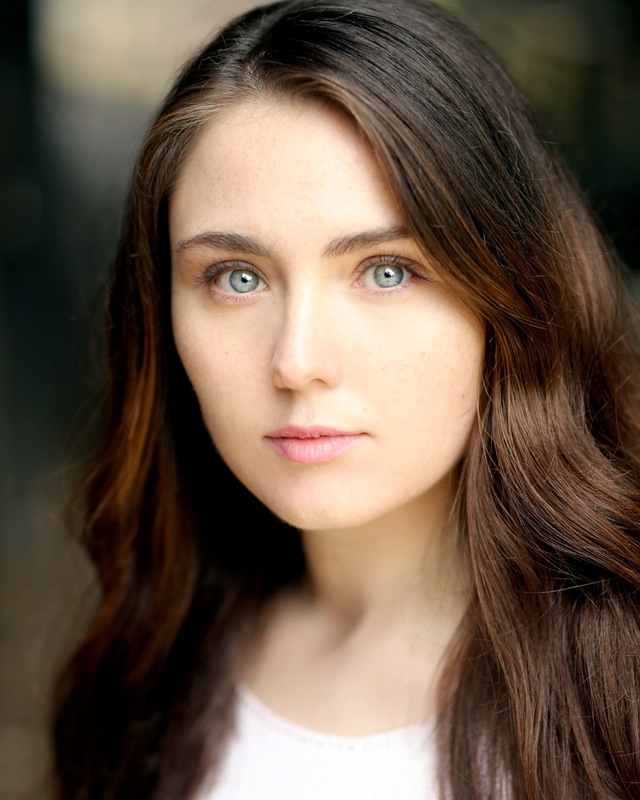 Recent credits include the role of Caitlín O’Casey in television period drama FATHER BROWN directed by Niall Fraser, HOLBY CITY directed by Richard Platt and a guest lead appearance in British medical soap opera DOCTORS all for the BBC. Further credits include the role of Bethany in TV movie JACK TAYLOR – ‘HEADSTONE’ directed by Stuart Orme for Telegael, WE’RE DOOMED! THE DAD’S ARMY STORY directed by Steve Bendelack for the BBC and lead role Emma Walsh in TV3 drama DECEPTION. Róisín also appeared in a screen adaptation of Ken Oshi’s novel LOVE ETERNAL directed by Brendan Muldowney for Fastnet Films. Short film credits include JUST, LEONARD (dir. Brian Dunster) and GLORIA written and directed by Nicholas O’Riordan. In theatre, she played the title role in the Abbey theatre production of John B. Keane’s timeless classic SIVE directed by Conall Morrison. With sell-out performances at the Abbey Theatre in 2014, the show was revived for a nationwide tour later that year and returned for a limited run on the Abbey stage. Recent stage roles include Honor in the 2016 remount of Paul Howard’s hit play BREAKING DAD directed by Jimmy Fay (Landmark Productions) at the Gaiety Theatre, Dublin and Concert Hall, Limerick and Mollser in THE PLOUGH AND THE STARS by Seán O’Casey, directed by Jeremy Herrin and Howard Davies at the National Theatre, London. Róisín’s previous stage work includes MANTLE, SERIOUS MONEY, FEAR, MISERY OF THE THIRD REICH and FORTENBRAS GETS DRUNK at the Granary Theatre. ALADDIN and BACK TO THE 80′s (Everyman Palace), LATCH, THE INSANITY OF MARY GIRARD, A MIDSUMMER NIGHT’S DREAM and THE BOYS by Gerard Humphreys, performed at the New Theatre. She appeared as Claire in the highly-acclaimed production of BEST MAN written by Carmel Winters and directed by Michael Barker-Caven; staged at the Everyman Palace, Cork and Project Arts Centre in Dublin. Other stage work includes BETWEEN TREES & WATER with Painted Bird Productions and appearing as Charlie Maloney in Ed Malone’s dark comic play THE BALLAD OF CHARLIE AND CATE directed by Tony McCleane-Fay, performed as part of the Cork Midsummer Festival 2015.